coupon worked for me plus free shipping... cha ching! I\'ll be back to check for more coupons from this site my next online shopping venture... thanks! Worked for me, but knocked out free shipping saved 67.20 off order, but shipping was $44.80. Still a better deal to use the 15% off! I love that there is no tax on this order! Saved so much! Worked for me but it was either free shipping or this 15% off, not both. This coupon was the better deal for me. Thanks! Saved $14.85 and they also had free shipping! Yay! Coupon Code hbmnov15 15% off everything until 11/30, not on sale items. Worked on June 15. Save $75!!!! Worked on June 22. Saved $119 on outdoor drapes. Very expensive! Worked on July 25! Very excited. for 10% off in Aug try this: TR11WE08 - I just tried it and it worked!!! 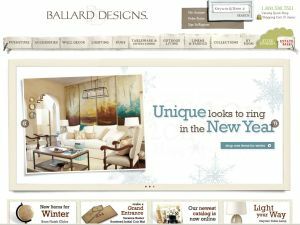 Found a coupon for Ballard Designs?